The year 2017 marked the first time social media advertising spend surpassed TV. And as these platforms continue to evolve, the resources businesses pour into social media will only look to grow. The important question is, just how much return are you getting out of it? Below is a rundown of the basics of measuring your social media ROI. What Is Social Media ROI And Why Should You Track It? Your definition of social media ROI will depend on what your objectives are. Of course, profit is everyone’s bottom line, but objectives can also include things like brand awareness and customer satisfaction. This then means that social media ROI is the sum of all social media actions that create value. Digital marketing has, for the most part, made it easier to track advertising ROI. But when it comes to social media, it gets a bit trickier. As noted by Junction, 46 percent of B2B marketers remain unsure of social media’s positive impacts to the bottom line. So if you find yourself confounded by what you’re actually getting out of social platforms, you’re far from being alone. What Makes ROI Tracking So Difficult? Almost everyone is using social media for their business – that’s just standard practice today. And everyone knows that it’s helping their brand in some way or another. As noted by MDG, 36 percent of CMOs say they have a qualitative sense of its impact. The difficulty lies in translating that sense into solid figures. Basic analytics tools easily track engagement metrics, but how those directly affect overall revenue is a picture that’s not painted as easily. To be able to meaningfully assess your social media efforts, you need to align your strategies’ goals with your business objectives. You also need to establish goals that are quantifiable. These are the two basic elements necessary for a meaningful social media campaign. The goals vary for different brands. It could be as simple as increasing followers or website traffic. But whether it’s more complicated like generating sales leads and boosting sales, establishing what it is you want to accomplish is always the most important step. It’s also important to note that while the available tools (more on that in a bit) for quantifying data can measure just about anything, there are things that may not appear to be quantifiable. Oliver Blanchard, the author of “Managing and Measuring Social Media Efforts in Your Organization,” explains that for those instances, non-financial outcomes can tell the story by capturing changes in human behavior. You’ll also want to keep your objectives SMART (specific, measurable, attainable, relevant, and timely). If, for example, the objective is business conversion, a good goal would be setting a specific number of leads driven for a quarter. It could also be increasing landing page conversion by X percent in X amount of time. KPIs are the metrics that measure how you’re doing based on previously identified objectives. Once you’ve set your goals, you’ll know which KPIs to track. Current KPIs you’re already tracking like average sales per month, average sale, cost of customer acquisition, etc. Setting the benchmark will allow you to see how it changes over time in line with your social media campaigns. This a great and simple-to-use tool to track website traffic (and where they’re coming from), how visitors are interacting with your site, and which social media channels (and ad platforms) they come from. 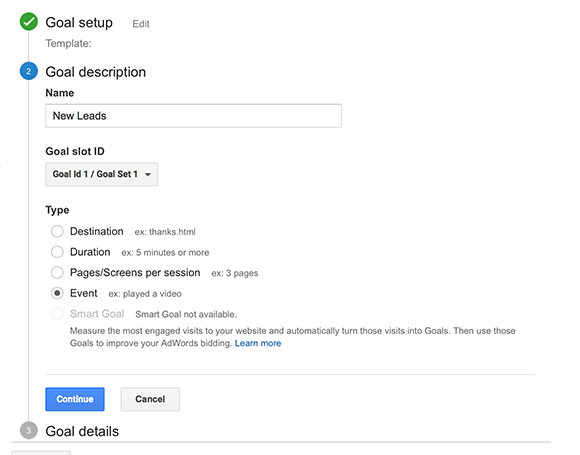 You can also use Google Analytics to track the response to different social campaigns, providing insight as to which are more successful at moving users to and throughout your site. As well, its Social Analytics section allows you to set up which goals to measure the value of social referrals with. For the most part, the data provided by in-platform analytics touch the realm beyond financials. Instead, it provides insights into the engagement and relationships you’re able to build thru social media. These include clicks to your site, shares, and conversion tracking for paid ad campaigns. Data coming from these complement the other tools on this list in helping you determine social ROI. Defined in the most basic sense as the profit your business makes from any given customer, calculating Customer Lifetime Value (CLV) is a great way to find out how much a new lead is costing you, and if it’s worth it. This insight allows you to make crucial decisions about sales, marketing, customer support, and product development. You can use various CLV calculators available online (either free or paid) to determine the CLV of different customer groups (for example those who make a one-time expensive purchase vs. repeat customers who buy smaller items). This data should give you a good enough idea of how much you should be spending on engagement and lead generation campaigns on social media. This is a code placed on your website that helps you track conversions generated by Facebook ads. It also helps you optimize ads based on the data collected, and allows you to build targeted audiences for future ads. For those who have interacted with your site (e.g. initiated a checkout but didn’t finish, multiple visits in the past few days, etc. ), Facebook Pixels can help you retarget them. The way it works is by triggering cookies to track users as they interact with your site and Facebook ads. Check out Shopify’s guide on how to set up your Facebook Pixel. Similarly, UTM Parameters are text codes added to a URL that allows you to track various data about website visitors and traffic sources. Working with analytic programs like Google Analytics, UTM Parameters give insights into your social success from the macro (which platforms are performing) and the micro (which specific posts drove traffic to which specific pages). Allowing you to fine-tune your strategy to focus on the social platforms that are performing for your brand. Ability to test specific posts against each other (A/B style) to get an even deeper look at which campaigns have the best returns. Before you can assign a monetary value to the data results provided by the tools above, you need to consider the costs involved in the social campaign. For example, this could be the rate of the social media manager (or the value of your work hours if you do it yourself), and the different costs entailed in each social platform and individual posts, among other variable costs. Then, you can start to assign monetary values to things like PPC or how much a potential website visit is worth to you. Here’s what a report on that might look like. The most basic formula for calculating your social ROI is illustrated in the photo above. So let’s say the total monetary value you’ve assigned to the benefits of a particular campaign is $1,000, and you spent $600 for it. Using the formula, that’s an ROI of 66.67 percent. You’d be lucky to get a 67 percent ROI, making it all the more important to start measuring the value of your efforts now to give room for improvement. A positive ROI doesn’t always mean that the campaign was worth all the resources and efforts put into it. And because there is no universal number that suggests what a desirable social ROI is, your best bet would be to benchmark it against the market. Not only will you get an idea of how much your competitors are investing in their social campaigns and what they’re getting back, it also allows you to identify social trends. It may seem like a lot of work to get to what your social media ROI is. But with social being an integral channel for nearly all businesses, there’s no denying the importance of determining what you’re getting in return for spending time and resources on it. Now that you have an idea of how to measure your social media ROI, the next step is determining what should come after understanding what social return you’re getting. Keep informed and stay ahead of the game.